← Sell your gold and you earn the chance to win $5000! 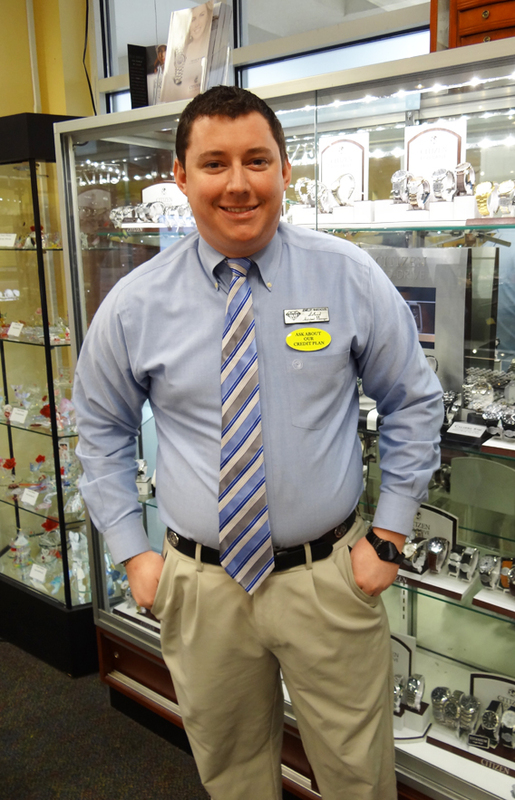 This week’s Employee pick of the week, is Citizen Watches by Leland at our Lexington store. Why did you pick Citizen? 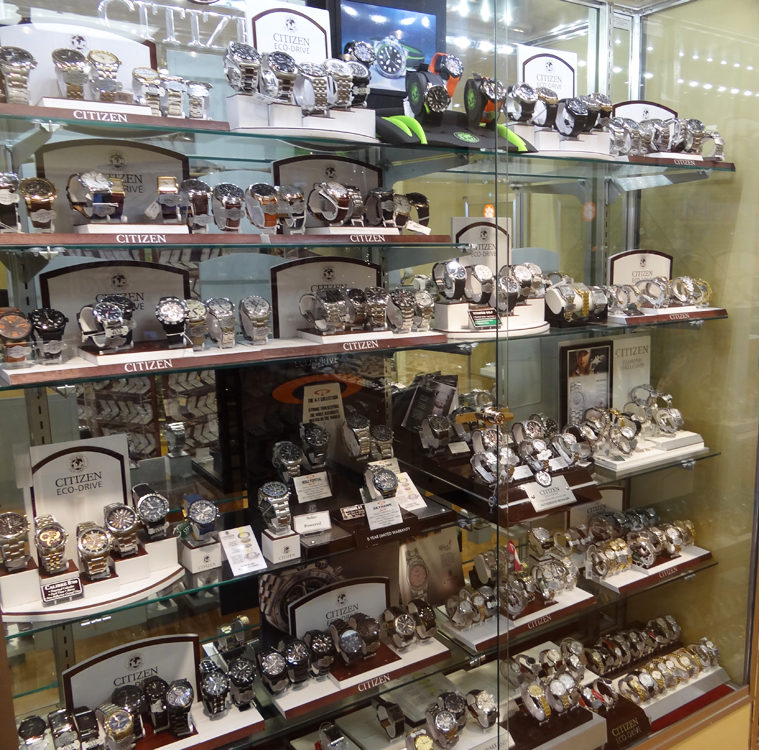 – Citizen watches are not only “Unstoppable,” they have superior quality and a variety of styles. They are also automatically timed and updated everyday. How long will a battery last in my Citizen watch? – Conventional battery life (not Eco Drive) is dependent on a variety of things including features of your watch such as alarms, age of your watch and how the watch is used. The average life of a conventional battery in a new watch is two years. The Energy Cells featured in our Eco Drive product have a life of 40 years. Even after 20 years it will still maintain 80% of its original charge capacity. It is highly unusual for one of these special cells to fail. If your watch battery is no longer working, bring it into any Jewelry Warehouse store for a replacement. What does Eco-Drive mean? – Citizen Eco-Drive watches use the simplest, yet most technically advanced power generating and storage system in the Watch Manufacturing Industry. A Solar conversion panel and energy cell are the power provider for these Quartz Watches. Eco-Drive’s ability to use light from any source to generate electrical power means that the supply is limitless and free. The absence of any added complex power generating machinery that would require additional upkeep is another big advantage. They can even be charged by a candle! Pretty amazing! 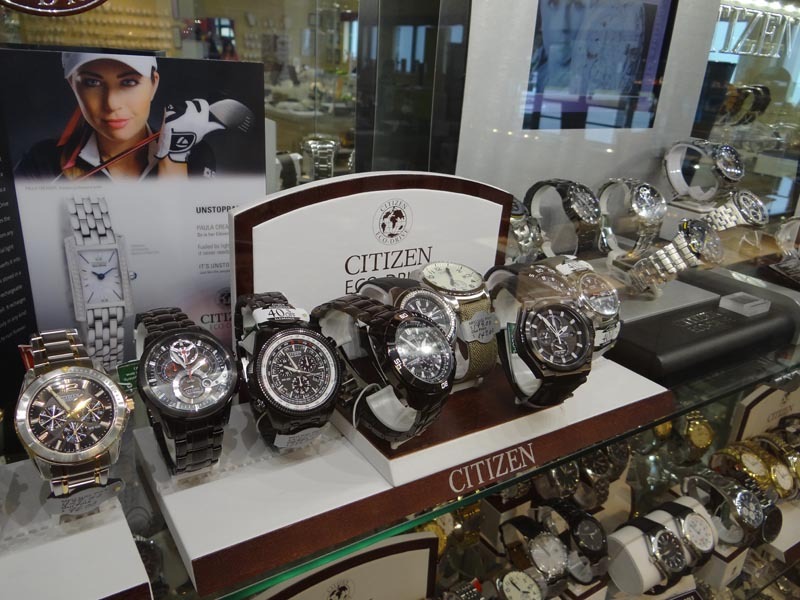 About Citizen – During the last ninety-three years Citizen has expanded its business throughout the world and has achieved recognition as a global brand. The past 30 year period has coincided with the company’s dramatic rise to its current position. More recently, Citizen has staked out a new position as the leader in Ecologically Friendly timekeeping with its Eco-Drive collection of light powered watches. With models ranging from dress to sport to professional dive watches, Citizen Eco-Drive runs continuously in any kind of natural or artificial light for a lifetime of use. With the presentation of the Eco-Drive Satellite Wave at Baselworld 2011, Citizen has re-affirmed its position as a worldwide leader in timekeeping technology. To see our collection of Citizen watches online, click here. This entry was posted in Employee Picks, Jewelry, Watches and tagged citizen, citizen watches, eco drive, employee pick, watch, watches. Bookmark the permalink.